The record number assigned by the record label for the release. Prefixes have been omitted sometimes. 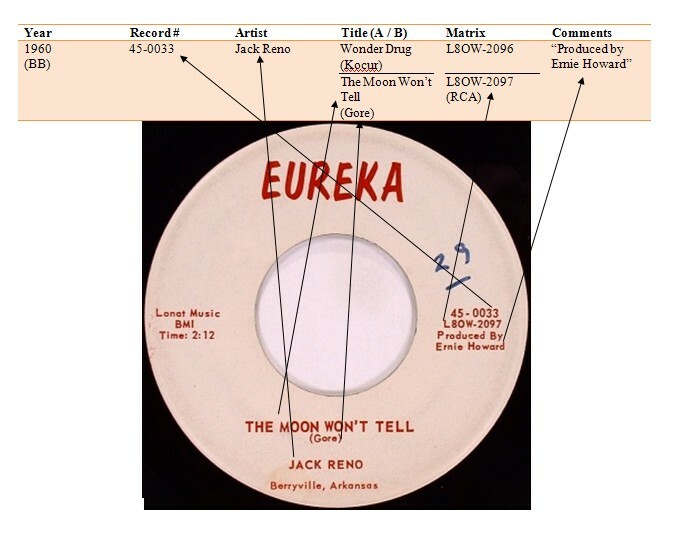 The artist listed on the label. () = credites are not known, mostly because no label shot is present. A and B side are generally listed as the label denotes. If no difference can be spotted, the titles are listed according to their matrix numbers. The matrix number assigned to the record by the pressing plant. Comments shown on the label, e.g. producer or arranger credits.